Brief Description : Mr. Karim Meghji: Owner/Manager +92-300-5252232, +92-364-4912278 Email:newcapegrace@gmail.com Online reservation www.newcapegrace.com Whether you are traveling to Islamabad for business, pleasure, or planning a meeting, NewCapeGrace (NCG) COULD BE YOUR BEST STOP IN ISLAMABAD FOR HOTELS, GUEST HOUSES and is always ready to welcome you and provide you with their highest quality services in a professional manner and a sophisticated environment. Services comparable to 4-star hotels in Islamabad Pakistan, NewCapeGrace provides accommodation in Islamabad for all genders, who are looking for lodging or hostels in Islamabad Pakistan. Ranked #1 B&B on TripAdvisoR (A Top Tourist Review Website). 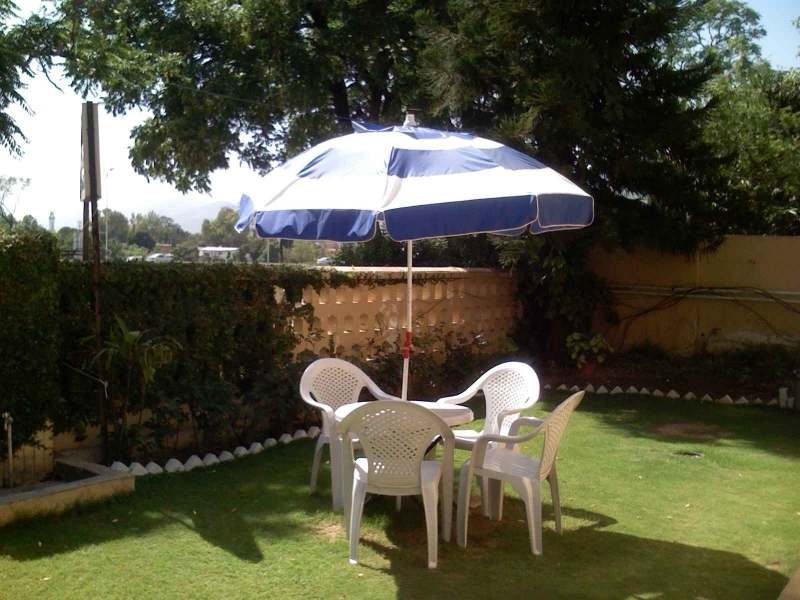 Only few minutes drive from the popular Jinnah Super, Super Market and Blue Area (the business district of Islamabad), NewCapeGrace is considered as one of the elegant guest houses of Islamabad that provides a well mannered & a relaxing environment to its boarders. 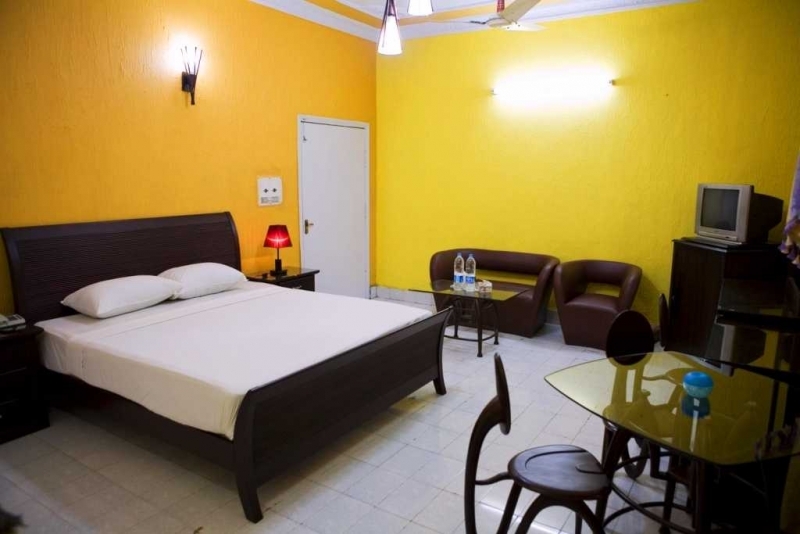 The rooms at NCG Guest House are divided into comfortable Single, Double, Interconnected, Mini Suite and Executive Suite rooms. All the rooms host a number of facilities that are designed to suit the taste and the requirements of all kinds of guests. Photocopying, fax and scanning services are available in the lobby area. Secured WiFi @ 3MBPS on FiberOptic MediA is accessible from all over the premises with wireless printing and scanning facilities. Power backup is installed for continuous supply of electricity including the WIFI up while the power from the suppliers is down. 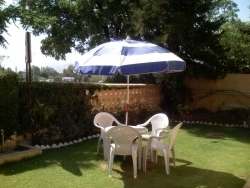 New Cape Grace Guest House Islamabad has a professional group of staff, always serving with a sweet smile on their faces. Fully operational kitchen including mouthwatering Pakistani food, Continental dishes as well as Western style food is prepared fresh by our experts and offered either at the dining area or inside the room as per the guestsâ€™ choice. Our premises is covered with security guard round the clock for safety and peace of mind. Really, the best value for our money yet. The best internet service we've seen in our two-year trip around Asia, super fast and uninterrupted by power outages, ideal for uploading and downloading the massive files we have to. The rooms were cleaned daily and supplied with cold mineral water waiting for us in the in-room fridge (convenient to have once we found Islamabad's beer window), the cable TV was a bonus when the free wi-fi didn't occupy us, the air-con worked perfectly and all our issues and complaints were dealt with swiftly and professionally (minor ones - like the color went out in the TV, it was immediately replaced, and the clock battery went out). The staff is well trained, the meals are great, the garden and living room are quiet for relaxing. We stayed there two weeks but wished it could have been longer, we missed Karim and Sammy's competent and professional care the minute we left Islamabad! I went for a business trip and just by sending the email to the manager Mr Karim everything was arranged with explicit timings. It included my pick up from the airport to the pick and drop service where ever i wanted to go. During my stay i had a very cooperative and pleasent staff at my service all the time.The room was very cozy, had round the clock wireless internet service and cleanliness was exceptional. Mr Karim and his son Sameer's devotion is appreciable. I am sure whoever goes and stays with them will have a unforgetable experience and definitely make new friends. 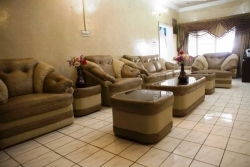 I high recommend this guest house for staying in islamabad for business or other purposes.